Mobile devices account for a rapidly growing share of US retail ecommerce sales, and are expected to contribute to strong ecommerce sales growth this holiday season, according to eMarketer’s latest estimates. eMarketer projects that retail ecommerce holiday sales in the US will rise about 15% again this year, matching last year’s gains. In total, US retail ecommerce sales for the holiday season—defined as November and December—are expected to reach $61.8 billion, up from $53.7 billion last year. Mcommerce is expected to play an important part in overall digital holiday retail spending. This year, mobile devices will account for a larger-than-expected share of total US retail ecommerce sales, according to the newly revised forecast. eMarketer expects that mobile’s share will reach 16% in 2013, up from our previous prediction of a 15% mcommerce share this year. In total, eMarketer predicts retail mcommerce sales will reach $41.68 billion this year and by 2017, retail sales made on mobile devices will climb to well over $100 b! illion. How Are Google’s Product Listing Ads Performing? Google’s Product Listing Ads (PLAs), which are enhanced search ads that include features such as price and image, received significant attention from marketers during the 2012 holiday season, according to a Marin Software study of advertisers who had made paid search buys through the Marin platform. However, since December 2012, PLAs’ share of search ads has declined. In July 2013, 1.05% of text ads worldwide were PLAs, compared to 1.22% just two months earlier. This is likely to change as the 2013 holiday shopping season kicks into gear, and retailers increasingly opt for richer search ads. While there has been some falloff in advertiser interest in the ads, the outlook for PLAs is good given that the ads do seem to garner higher clickthrough rates (CTRs) every month. In July 2013, the average CTR of these ads reached 1.66%, up from 1.00% in January 2012. 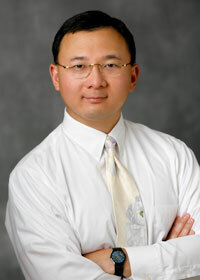 The study specifically called out mobile shopping as a prime contributor to these increased clicks. Costs per click are reaching progressively higher, though, up to $1.59 in July 2013, compared to $1.04 in July 2012. Rising prices may be encouraging advertisers to be more strategic in their PLA buys. Comparing the share of clicks on PLAs vs. text ads, Marin Software found that while July saw a slight dropoff in clicks on the enhanced search ads, the overall trend seems to be toward more PLA clicks. PLAs took a 2.21% share of clicks in July 2013, still nearly double the 1.15% share PLAs garnered in th! e previous July. The holiday shopping season seems to be when the greatest percentage of spending outlays go toward PLAs compared with text ads. The percentage spent on PLAs remained below 2% between January through October 2012, and then jumped during the November and December 2012 shopping season. After the holidays, the share devoted to PLAs came down considerably but still stayed above 2%, and reached 303% in June 2013. Tablet users visiting e-commerce sites are three times more likely to make a purchase than those accessing the sites on their smartphones. Tablet-based conversion rates for the holiday season in 2012 reached 2.2%, according to new data from Adobe’s State Of Mobile Benchmark Digital Index. Smartphone conversion rates over the same period were significantly lower, reaching only about 0.7%. Adobe tracked activity on over 500 U.S.-based retail websites during December 2012, and calculated conversion rates as total orders divided by total website visits. The relatively low smartphone conversions were in effect during the the 2011 holiday season as well, when they were also .7%, according to a separate Adobe study. It may be that in lieu of making an actual purchase, consumers more often prefer to use a smartphone for its on-the-go practicality in comparing prices or pinpointing store locations while shopping. It’s further evidence that retailers have to approach mobile on a device-specific basis, meaning they should optimize their mobile sites and apps specifically for tablets and smartphones. Tablets also offer would-be shoppers more screen real estate for browsing, and many consumers have basically begun to use them as lean-back PCs. However, desktop PCs still command the highest conversion rates. Comparing 2011 to 2012, we see tablet conversion rates actually fell slightly, from 2.5% to 2.2%. Amazon continues to outperform all other online retailers. First, a ForeSee study found it had the highest customer satisfaction rating of all internet retailers during the holiday season, then a Brand Keys study showed it beating the competition in terms of its customers’ emotional engagement. Now, a new study from ForeSee finds that Amazon led all retailers tracked in customer satisfaction with mobile retail experiences during the holiday period. IDC’s third quarter figures are in, complete with a few unexpected shake-ups. The entire cellphone market grew 2.4% over the same time last year, but smartphones drove the majority of that, showing growth of 45.3% and beating the analysts’ expectations. Of the 179.7 million smartphones shipped, Samsung and Apple devices accounted for almost half of them, with the companies retaining their number one and two positions in the market, respectively. IDC notes that iPhone shipments didn’t increase, but this is somewhat expected given the latest iteration was released only a short time before the end of the quarter. 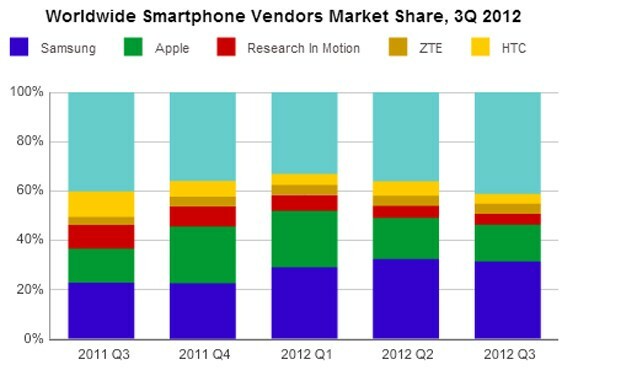 What we find particularly interesting is that Nokia was ousted from the top five smartphone players and replaced by RIM. Whether Nokia’s upcoming Windows Phone 8 devices will put it back in contention remains to be seen, as does the effect BB10 and RIM’s new handsets will have on the market. ZTE finished fourth in the list thanks to increased sales in North America, with HTC rounding up the top five vendors with continued uptake of its power devices. With a bunch of new handsets coming to the table and the holiday season fast approaching, look out for even more surprises in the fourth quarter numbers, due early next year. IDC: Samsung and Apple still kings of the smartphone market, Nokia loses top five spot to RIM originally appeared on Engadget on Fri, 26 Oct 2012 03:56:00 EDT. Please see our terms for use of feeds. Etsy’s CEO Chad Dickerson recently announced a big company milestone. Last year, the company’s community generated more than $525 million in sales. This year the community is on track to crush that number. It’s already passed $500 million in sales. That figure also gives you an idea of what Etsy is making. 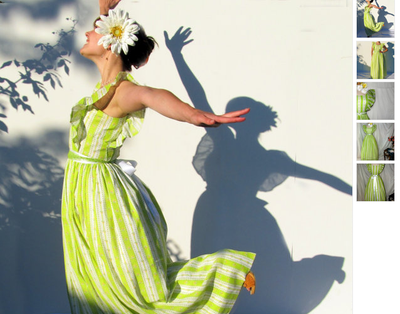 Etsy takes a 3.5% cut of every sale and 20 cents for every posted item. Since February, Etsy’s also started processing payments for some of its shops through a program called Direct Checkout. On payments, it takes a 3% cut plus 25 cents per transaction. Since February, it’s processed $50 million in payments. That means Etsy has generated more than $20 million this year, and the holiday season hasn’t even struck yet. Brooklyn-based Etsy has more than 300 employees, 800,000 active merchants and more than 40 million monthly visitors. Please follow SAI on Twitter and ! Facebook . Microsoft is paying Nokia a steep price to push Windows Phone 8. After years of losses, the E&D group was consistently in the black. 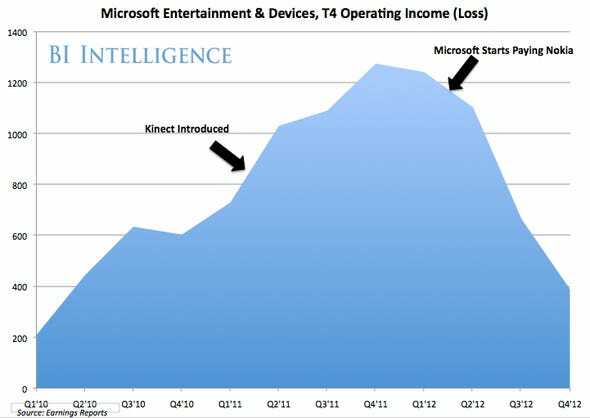 In the 2010 holiday season (Q2’11) Microsoft introduced Kinect, driving profits even higher. Unfortunately, Nokia’s flagship Windows Phone, the Lumia 900, is selling poorly. So poorly, in fact, that the company just cut its price in half. So Nokia helped send the E&D back into the red — it’s lost more than $200 million in each of the last two quarters. If Windows Phone sales don’t pick up, E&D will turn into a consistent money loser again. Here’s more proof that Android, despite having a huge lead in marketshare, is still losing the platform war to Apple. As you can see in this chart, 69 percent of new apps started by developers in the first quarter of the year were for iOS, as opposed to 31 percent for Android. 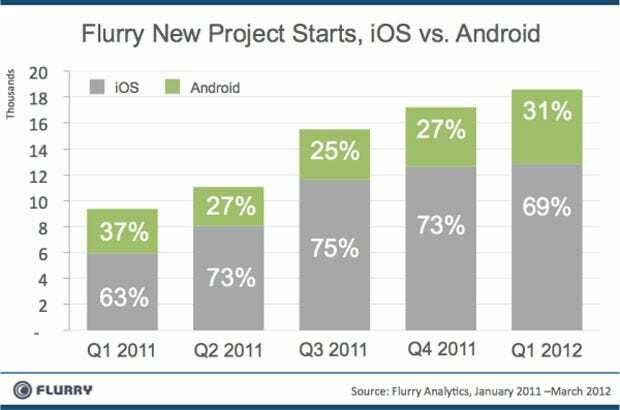 The data comes from Flurry, which is a mobile analytics company working with thousands of developers. What this means is that for every 10 new apps started by a developer, seven are for the iPhone, and just three are for Android. What is the “platform war”? It’s a battle to get the best software from the best developers on your platform. As we explained earlier this week, marketshare only matters if it means developers are focused on your platform first. If developers choose Android first, then Apple has a big problem. It misses out on the best software. If it misses out on the best software, consumers are more likely to choose Android. For whatever reason, despite Android’s huge lead in marketshare, developers still choose Apple’s iOS first. Until this changes, Apple’s smaller share of the market is not a big problem. Gift cards are the laziest, lousiest, most convenient, popular and widely given present. And this is your yearly reminder of just how much they stink. Since 2005, we’ve tossed out more value in gift cards than the entire GNP of Ghana. $41 billion is pretty hard to defend. We’re lazy; we have things to do; we… didn’t really want the damn things in the first place. Things have gotten a little better over the past few years, since the Card Accountability, Responsibility, and Disclosure (CARD) Act passed in 2009, but in 2011 there are already $2 billion in unused cards. That’s down from $8 billion in 2007, but still, $2 billion a massive amount of waste.